A wonderful new book on contemporary quilting is available from author Teresa Duryea Wong. 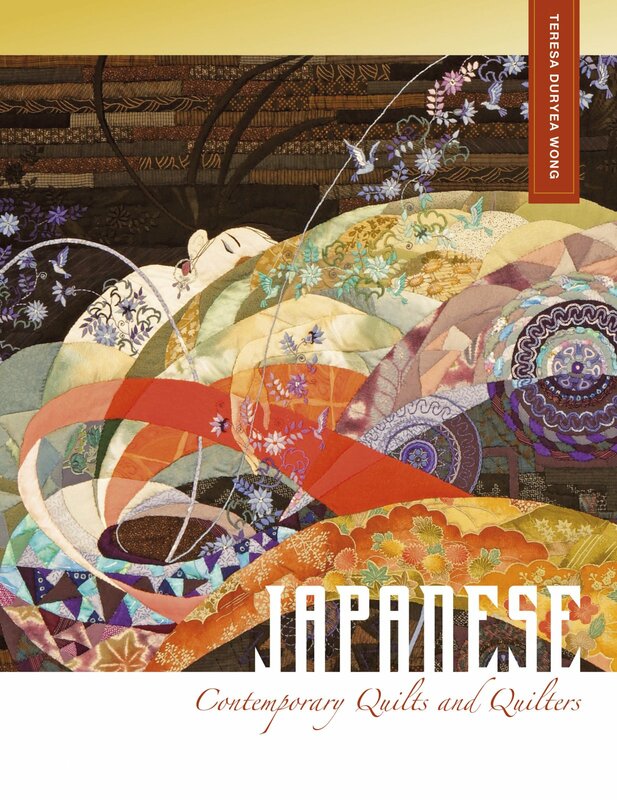 "Discover how quilting came to be a favorite pastime for an estimated 3 million quilters in Japan today...For forty years, Japan looked to America and imported quilts for ideas and inspiration. Now, contemporary Japanese quilters, with their own style, seek inspiration, museum shows, and audiences in the West, while modern-day Western quilters admire the distinct aesthetics of their Japanese counterparts. Meet more than a dozen award-winning quilters, including Yoko Saito, Keiko Goke, Noriko Endo, and Yoshiko Jizenji. Each has a well-defined, individual style, yet they share the impeccable technical standards common to Japanese artists. Learn the inside stories of these former painters, seamstresses, homemakers, graphic designers, and manga artists who have made careers in quilting." Teresa Duryea Wong has published her first book: “Japanese Contemporary Quilts and Quilters: The Story of an American Import.” She is currently researching and writing two additional quilt history books. When she’s not writing, Teresa is an active blogger and quilter. She is a member of the American Quilt Study Group and the Studio Art Quilt Associates (SAQA), where she serves as the SAQA Co-Rep for Texas. Teresa holds a Master in Liberal Studies from Rice University and in 2014, was named the Faith P. and Charles L. Bybee Scholar by the Texas Quilt Museum and the Bybee Foundation.